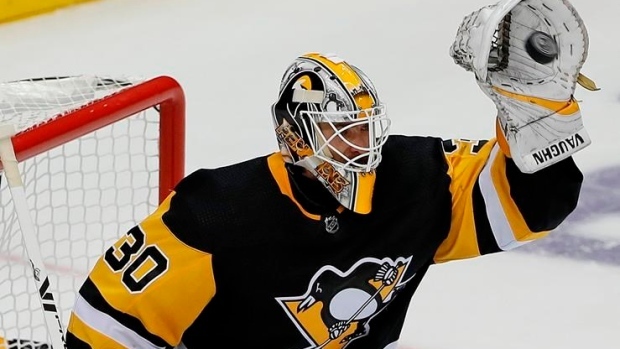 Penguins starting goaltender Matt Murray skated at Pens optional practice today and took shots from teammates. He was, however, ruled out for Thursday's game after the skate with head coach Mike Sullivan declaring the netmined "day-to-day." Murray sustained a concussion during Monday's practice, but appears to be making a quick recovery. "I still need to talk to the doctors, but I felt good out there," Murray said Thursday. "I wear the best helmet you can get. It's a fast game and sometimes things happen." The 24-year-old has had three concussions in the last 30 months. The 37-year-old has been battling a lower-body injury since the end of the pre-season. Kronwall played 79 games with Detroit last season, scoring four goals and adding 23 assists. James Reimer will get the start in goal for the Panthers against the Blue Jackets tonight. Reimer is filling in for the injured Roberto Luongo who is out 2-4 weeks with a knee injury. In the meantime the Panthers recalled goalie Michael Hutchinson from the AHL. Wild forward JT Brown will make his debut tonight. The defenceman had three goals and 24 points in 80 games last season. The team announced that forward Nolan Patrick will be out with an upper-body injury for the next 7-10 days. Patrick suffered the injury in Wednesday's 7-4 win over Ottawa.